Browse: Home / CrackMapExec – A swiss army knife for pentesting Windows/Active Directory environments. 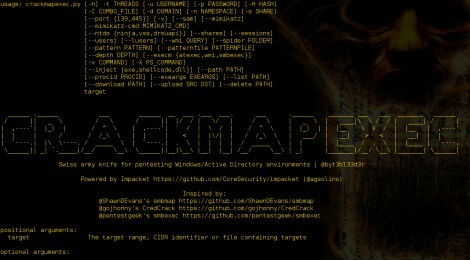 CrackMapExec – A swiss army knife for pentesting Windows/Active Directory environments. CrackMapExec is your one-stop-shop for pentesting Windows/Active Directory environments! From enumerating logged on users and spidering SMB shares to executing psexec style attacks, auto-injecting Mimikatz/Shellcode/DLL’s into memory using Powershell, dumping the NTDS.dit and more! Kali 2.0 Installation problem with drsuapi.py not found? ← MotS : Man on the Side Attack – experimental packet injection and detection.